Crashed WW2 Planes on Slindon Estate and the Gumber Airfield. | The Military history of Slindon. World War 2 Airplanes – Bristol Beaufighter : The Bristol Type 156 Beaufighter, often referred to as simply the Beau, was a British long-range heavy fighter modification of the Bristol Aeroplane Company’s earlier Beaufort torpedo bomber design. The name Beaufighter is a portmanteau of “Beaufort” and “fighter”. Unlike the Beaufort, the Beaufighter had a long career and served in almost all theatres of war in the Second World War, first as a night fighter, then as a fighter bomber and eventually replacing the Beaufort as a torpedo bomber. A unique variant was built in Australia by the Department of Aircraft Production (DAP) and was known in Australia as the DAP Beaufighter. 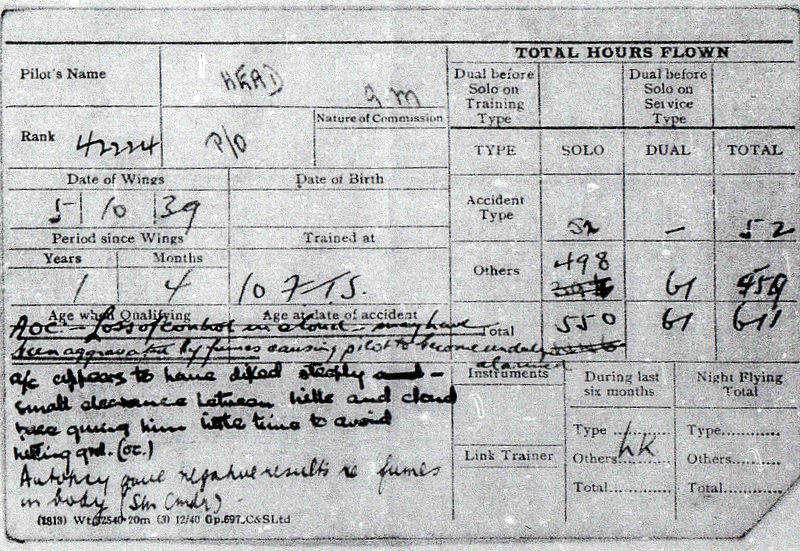 Crash report of Beaufighter No. R2074. Terry Le Dong was one of two R/O’s on Beaufighter R2074 that day. The aircraft was carrying out a practice on another squadron aircraft when the pilot reported smoke in the aircraft and it crashed shortly afterwards at Gumber Farm decoy site. The day before the pilot had reported smoke in the cockpit; this was found to be a fault in the exhaust system, being vented into the cockpit. The fault was rectified, and the plane was passed fit for flying. 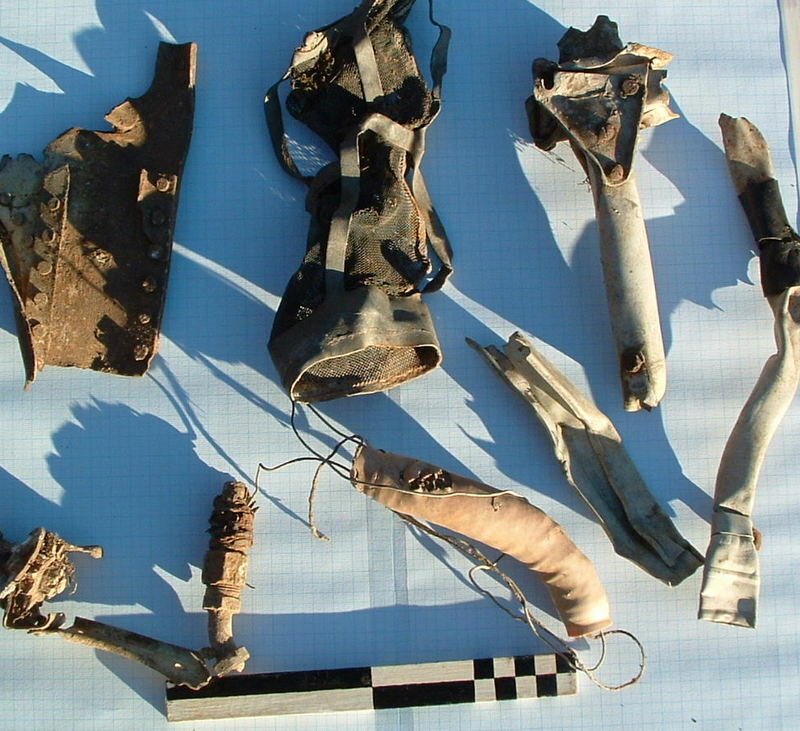 It is thought that the pilot became disoriented very quickly when once again the cockpit filled with fumes, the pilot lost control quickly and the plane plummet to the ground, killing all on board. The remains were towed out of a slightly wooded area just on the edge of the decoy runway by the local farmer with his tractor. 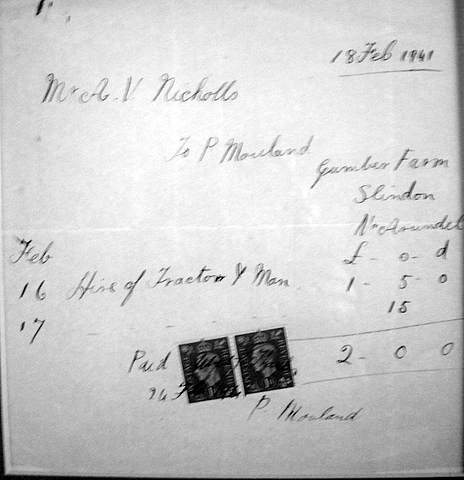 Mr.P Mouland, Gumber farm Slindon. Hire of tractor and man £1.5.shillings + 15 shillings = total of £2.00. The salvage crew from the haulage firm of Arthur V. Nicholls and Company from nearby Brighton arrived. This local haulage company was contracted by the Air Ministry during 1940 to recover the wrecks of shot down aircraft throughout Sussex. Any crashed/wrecked British or German aircraft from Southern England ended up at No. 49 R.A.F. Faygate near Horsham. These two forms show accident forms, double click on to enlarge, very interesting reading. 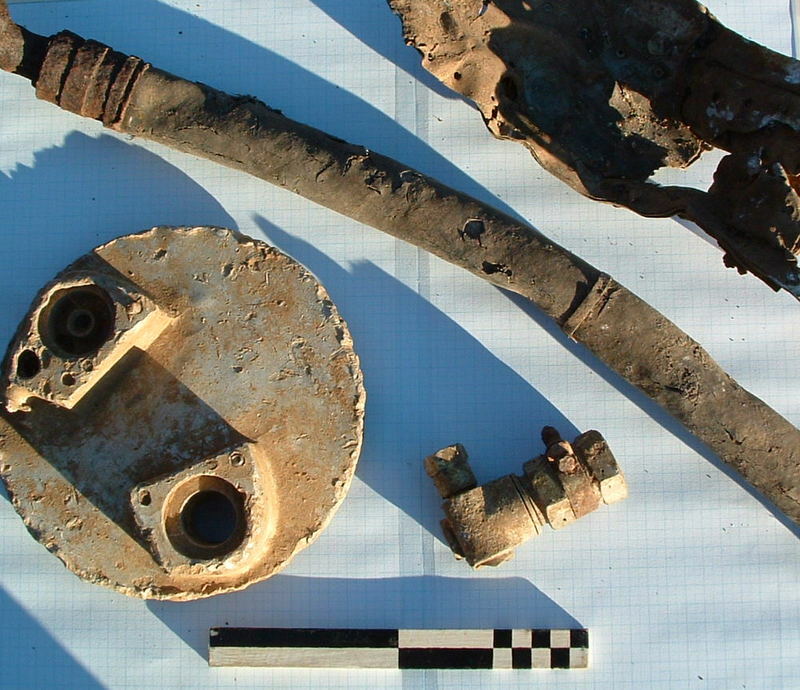 Possible remains found on site of Beaufighter. Below. 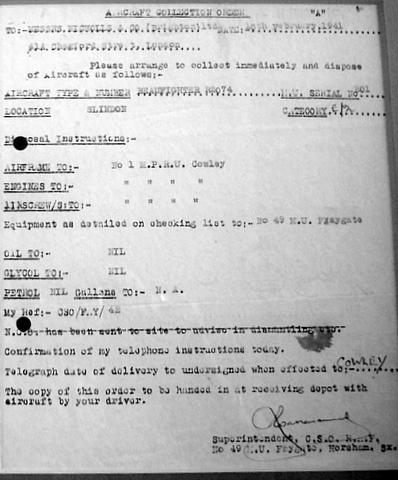 These instructions came from Superintendent at Faygate, Horsham, control centre for crashed aircraft in Sussex..
Terry le Dong, from Swansea, joined the RAF in 1938 as an Aircrafthand but was later accepted for training as a Wireless Operator/ Air Gunner. On completion of training he was posted to 219 Squadron operating Blenheims from Catterick on 1st September 1940.
n 219 moved to Tangmere and re-equipped with Beaufighters in December 1940. Le Dong was killed on the night of 8th February 1941 when his Beaufighter R2074 came down at Gumber Farm, Slindon, Sussex. The cause was never discovered though the aircraft had earlier reported being full of smoke. The pilot P/O GM Head and the radar operator Sgt. 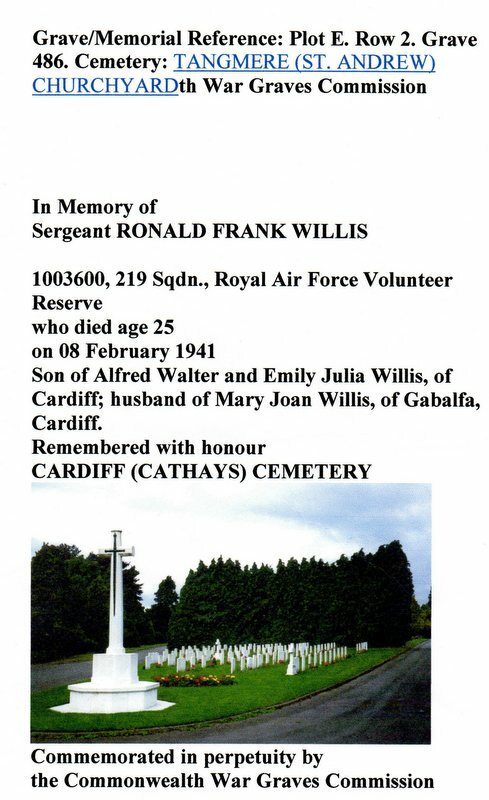 RF Willis were also killed. Le Dong shown here is buried in St Andrews churchyard, Tangmere. 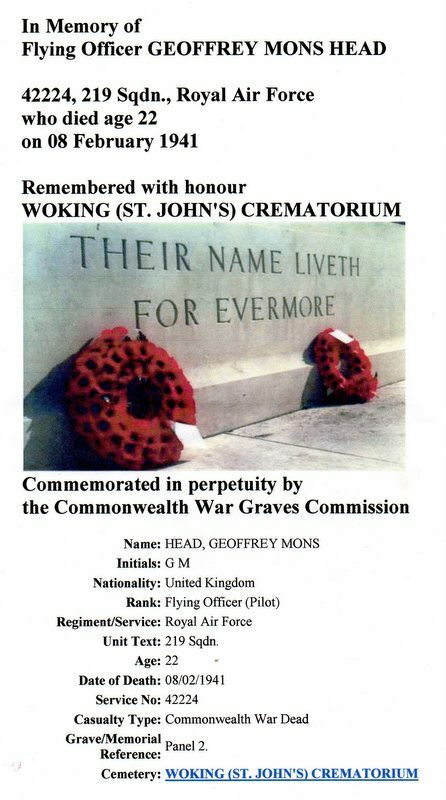 Geoffrey Mons Head joined the RAF on a short service commission in April 1939 and was serving with 219 Squadron at Catterick by early July 1940. On 12th October he was flying Blenheim L1113 when it experienced engine vibrations during a routine night patrol. The engines were throttled back but the aircraft stalled and crashed at Court Lodge Farm, Ewhurst. Both crew bailed out but P/O RV Baron was killed when his parachute failed. On 8th February 1941 Head was carrying out practice AI interceptions in Beaufighter R2074 with another 219 aircraft when he radioed that his aircraft was filling with smoke. Nothing further was heard and the Beaufighter came down at Gumber Farm, Slindon in Sussex. Head was killed along with Sgt. RF Willis and Sgt. T leDong. Head was 22 years old and was cremated at Woking Crematorium, Surrey. The twin-engine Whitley entered RAF service in 1936 and was the RAF’s first ‘heavy bomber’. It was capable of carrying up to 7,000 lbs of bombs and had a range of up to 1650 miles. However it was slow and notoriously cold and uncomfortable for its crews and became known as the ‘Flying Coffin’. The Whitley Bomber crashed just of the Decoy Airfield, it had been trying to make a landing at either Ford or Tangmere aerodrome. It was picked up by searchlights located in close by Eartham Woods, one of the operators was a Charles Powell, in later years entertainment manager of the Esplanade Theatre, for 29 years. On picking up the plane in the searchlight , it was possible to follow its demise, it crashed just of the decoy site, Charles and other rushed to the site to see what they could do, sadly on arrival the plane was badly smashed, but the tail gunner had survived, he was injured but survived, only later to die while on a bombing raid over Hanover. This information is a little confusing as the official report states there were two survivors. 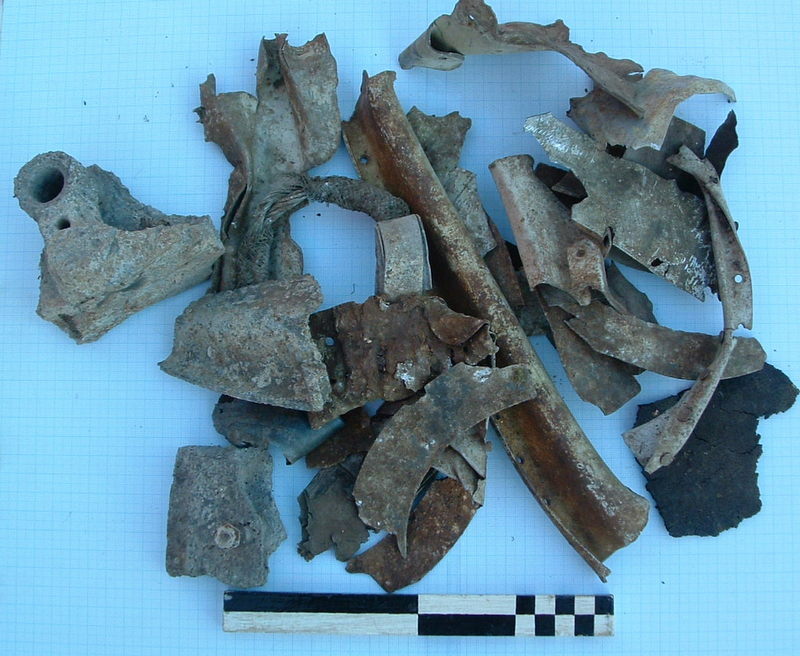 More research to be undertaken. 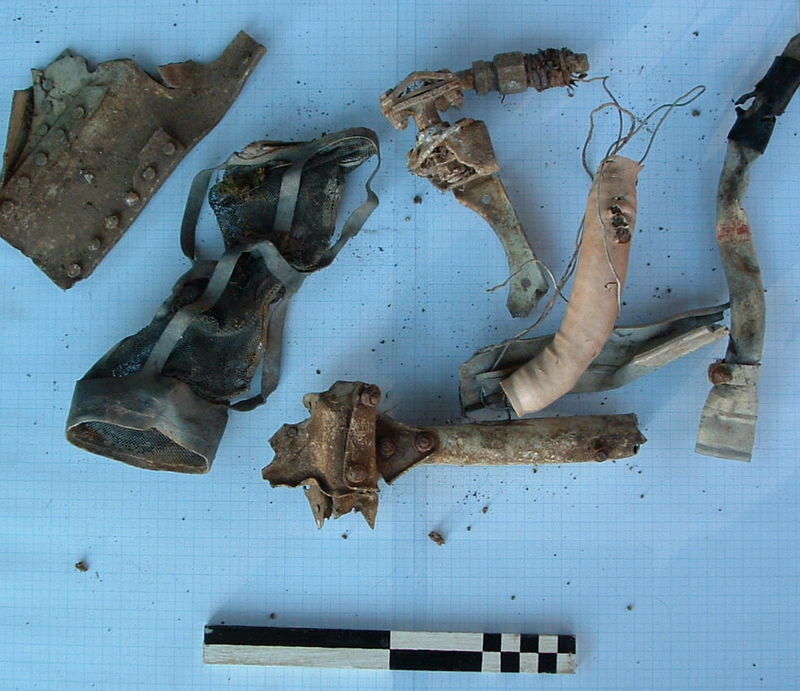 The tail gunner did survive only to be killed later in the year on a bombing raid over Berlin. “Serial Range Z6552 – Z6586. 35 Whitley Mk.V. 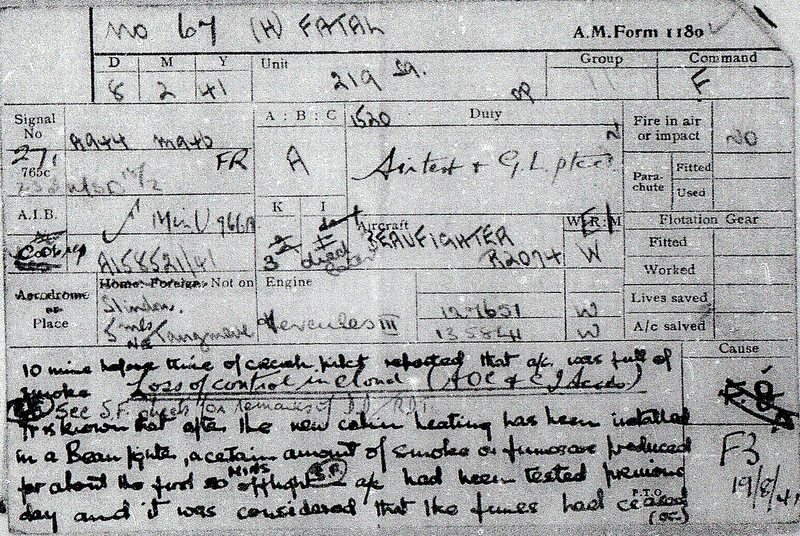 Delivered by Armstrong Whitworth aircraft between 24Feb41 and 12Mar41. Contract No.106962/40. Z6583 was one of two 77 Sqdn Whitleys lost on this operation. See: P4947. Airborne 1901 3Apr41 from Topcliffe. A fury crash landed in Courthill Field. No further details at present. A Hampden Bomber crashed on the estate no details.